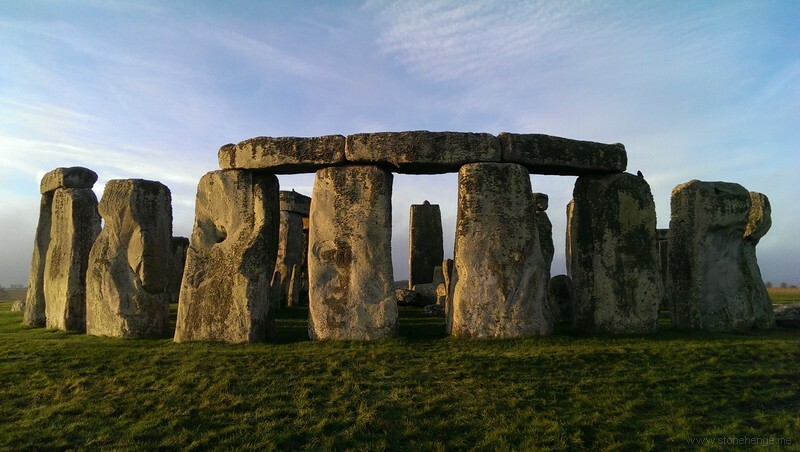 An Australian Lynne Kelly has an intriguing theory that Stonehenge and other megalithic sites were "material mnemonic devices". "How would the settlers avoid forgetting all their songs and stories and knowledge of the animals and plants if they were no longer visiting the memory locations their ancestors had spread across the broad countryside? How clever of them, I decided. They’ve replicated a series of landscape sacred places in their local environment. What could be more perfect than a circle of stones, each stone representing a former sacred location, each stone acting as a memory aid?" "In this book, Lynne Kelly explores the role of formal knowledge systems in small-scale oral cultures in both historic and archaeological contexts. In the first part, she examines knowledge systems within historically recorded oral cultures, showing how the link between power and the control of knowledge is established. Analyzing the material mnemonic devices used by documented oral cultures, she demonstrates how early societies maintained a vast corpus of pragmatic information concerning animal behavior, plant properties, navigation, astronomy, genealogies, laws and trade agreements, among other matters. In the second part Kelly turns to the archaeological record of three sites, Chaco Canyon, Poverty Point and Stonehenge, offering new insights into the purpose of the monuments and associated decorated objects. This book demonstrates how an understanding of rational intellect, pragmatic knowledge and mnemonic technologies in prehistoric societies offers a new tool for analysis of monumental structures built by non-literate cultures." In her new book The Memory Code: The Traditional Aboriginal Memory Technique That Unlocks the Secrets of Stonehenge, Easter Island and Ancient Monuments the World Over she furthers expands the theory : I have no doubt that the ideas about the purpose for Stonehenge will attract much of the attention, but it is only one chapter in 12. So I have put the Table of Contents below so you can see the extent of the book. It covers more ground than Knowledge and Power in Prehistoric Societies, but without all the academic justification. "I have had a great deal of contact in recent weeks from the memory community, including memory champions on three continents! I have also been asked to write an academic essay for Rounded Globe on indigenous memory methods and implications for contemporary thinking. It will be titled Grounded: indigenous knowing in a concrete reality and free for all. This is part of the move for academics to communicate beyond the expensive academic journals and paywalls. Taxpayers pay for the research – taxpayers should have access to it." i) the Stonehenge elements are predicated on a siding, on the part of the author, with academic dogma against the work of Alexander Thom, and the assumption that any "secrets"/"codes" it holds are beyond recovery. ii) the "free" element is but a forthcoming essay only. iii) the "free" book element is an audio book version, dependent on cancelling a 30-day free trial. Otherwise you commit to a £7.99 monthly payment for audio book offers only, in the future. Serious researchers need to get a copy of the original academia directed version, which is not cheap. What we see here, is a book-selling business strategy, whereby the general, wider-audience versions, along with the essay, support an academia oriented paradigm, against alternative genre theories. Irrespective of the "memory" aspects, covering many global locations many of which appear very interesting, I do not believe the assumptions regarding SH are supported. Since no one person can be expert on the very wide range of locations covered, it rather throws a big question mark against the wider evidence, when one finds that the evidence for the location which one is very familiar with is open to serious critique. The original theories of the author appear to have been twisted by whatever weird reasoning of the publishers, apparently with the support of the author, as a "statement" to the wider audience and budding archaeologists academics, of a recommendation to ignore "pseudo-scientific" theories emanating from the "alternative" genre. It is, in respect of SH and in my personal opinion, a pseudo-scientific work of its own. It's appeal, if it materialises, will be more built on a rejection of alternative theories rather than anything positive of its own, and it will mislead by creating a false impression, that because these versions are for the non-scholarly readership, and the fact that a detailed academic version has been produced, that they are based on an academically supported scholarly work. In no way the case - I am not even certain that it has reached a first completed review stage. I will need to check but perhaps others here will already be aware if one has been produced. Perhaps others who have a copy of the academic version, as myself, could contribute a short conclusion, as regarding SH elements as I have.